American author, H.P. Lovecraft, said “Searchers after horror haunt strange, far places.” In this book for the popular roleplaying game (RPG) Pathfinder, those dark and disturbing places can be visited. All that is necessary for the Game Master and their players to traverse the dark places of the world can be found in this one book. Dare you venture into lands no man was meant to travel? Pathfinder RPG: Horror Adventures, designed by Jason Bulmahn and published by Paizo, is 255 pages of creepy crawly things that go bump in the night. The focus of the material is to educate the Game Master (GM) and players on the world that lies in shadow and pitch darkness, the things that lurk there, and the dangers of seeking adventure in the realm of the horrific. In order to use the book fully, you must have the Core Rule Book. New concepts are introduced and old ones are dusted off in this book. New spells and rituals are also introduced, the concept of sanity and corruption, and new and old gear that should be packed if the characters are to survive. Not to mention new creatures and monsters for the GM to play with. What follows is a summary of each chapter in the book, which should give you a good idea of what it contains and if it’s right for your group. The first chapter of the book is rightly dedicated to the players and their characters. Players can either bring their existing characters into horror adventures or use the new supplemental rules and suggestions on how to build a character prepared to tackle the most horrific of horrors. A large section is dedicated to fear, sanity, and corruption and its effects on a player’s character. Fear comes in several different stages and will eventually cause the player’s character to become locked in a state of dread. Sanity, the sate of having a grasp of reality, can be attacked as easily as a shield. Take too much sanity damage and insanity becomes the norm. Corruption is the slow bending of one’s will to the powers of darkness. No one is immune to corruption, but character’s can guard against it. New character backgrounds are also introduced. The Accursed, Deep One, Ghoul, Hellbound, Hive, Lich, Lycanthropy, Possessed, Promethian, Shadowbound, and Vamprism are all available to be used and shackled to. New rules for races are also included. The second chapter turns its focus from the character’s background and current plight to archetypes and class professions. After all, everyone needs a job and a hobby. The Alchemist, Barbarian, Cleric, Druid, Inquisitor, Investigator, Kniticist, Medium, Mesmerist, Occultist, Paladin, Slayer, Spiritualist, Vigilante, Witch, and Wizard all get an update. Their darker natures are brought out and their jobs take a dangerous turn. In a world where the things that go bump in the night have many, many teeth, the player characters who fight them must be just as ferocious. But such ferocity and tendency to fight the most evil of beings takes its toll. The new archetypes and class options explore this and make even the sacred paladin a character to be carefully watched with a feeling of dread. 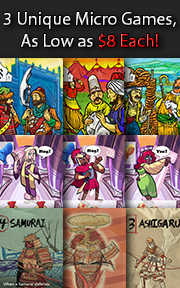 Feats are revamped and new ones introduced to fight the shambling armies of evil (both dead and undead). Over 50 new feats, covering everything from item creation to specific fighting styles, are included. Of particular interest was the Deadhand Style, a combat style feat that can inflict fear in your target, as well as physical pain. Talk about a one-two punch! The fourth chapter discusses new spells and rituals to fight attack the darkness or control it. New spells are included for the Alchemist, Antipaladin, Bard, Bloodrager, Cleric, Druid, Inquisitor, Magus, Medium, Mesmerist, Occultist, Paladin, Psychic, Ranger, Shaman, Sorcerer/Wizard, Spiritualist, Summoner, and Witch. The spells are very visceral in nature and go for the throat, either protecting with extreme malice or corrupting with the purity that only an evil heart could possibly know. Occult rituals are also introduced, as well. These are spells, but old ones that tend to be more harmful and dangerous than most. 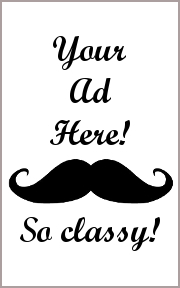 They are offered as opportunities for player character to look past the veil of sanity and attempt to taunt fate. Those who attempt such rituals are either brazingly brave or exceedingly insane. The fifth chapter is for the GM. It discusses basic fundamental elements of horror and what makes them gruesome fun. Curses are introduced that are designed to hinder and challenge a player’s ability to role play with supernatural disadvantages. Cursed items can also be found, as well as rules on how to craft them. Finally, cursed lands and even temples are introduced, instructing the GM on how to create their own slice of hell on the prime material plane. But curses are not enough. Oh, goodness, no. Disease that corrupts the body, mind, and soul are introduced, as well. That slight cough could be the first stages of gore worms or worse. At the end of the chapter, environments and how to construct them for an immersive horrific effect are discussed. Life threatening hazards to domains of pure evil are given great detail. Including mundane traps and insidious fleshwarping, that allows a player character or NPC to change their physical form and become a living horror. Sometimes on purpose, but more times not. Haunts are also discussed, the echos of the past that intrude on the present. And, of course, what good is such horrors if madness is not possible? All this darkness will test the mental strength of a player’s character. For those who cannot withstand the onslaught, they will fall into darkness. The sixth chapter focuses on what it takes to run a horror adventure. Interestingly enough, the chapter discusses the GM’s need to get all the player’s to consent to a horror game. Whether this is added for effect or not is not easy to determine, but it does suggest that running a horror game will take as much out of the players as it will the player characters. The chapter goes into great detail about different genres and settings for the GM to consider. Ghost stories and Gothic horror, for example. Tips and tricks are provided to help the GM create their own horror adventures and some ways to alter the storytelling aspect of the delivery for maximum effect. Even if the GM has no intention of playing a full-blown horror campaign, the material in this chapter is sure to be an educational read. This chapter is completely dedicated to tools of the trade that are necessary to fight evil and survive encounters with it. Tools for torture are provided, as well as sacrificial daggers. There’s so much “stuff” in this chapter that a GM will have a hard time knowing where to begin. Then there are the magic items. Rules are provided to help the GM create new and extraordinary magical items that can be just as harmful to hold as they are to use. When you are done with this chapter you’ll begin to appreciate that the arsenal to fight the damned and dark is a double-edged sword. The final chapter of the book is dedicated to a handful of new creatures, haunts, and horrors to battle and use in the game. While they are all terrifying in their own way, the most unsettling is the Waxwork Creature that looks like a melting man. Like all beasts and monsters, they are meant to be tools to further the game’s story and excitement. These will certain do the job and add a healthy dose of disquiet and fear, as well. 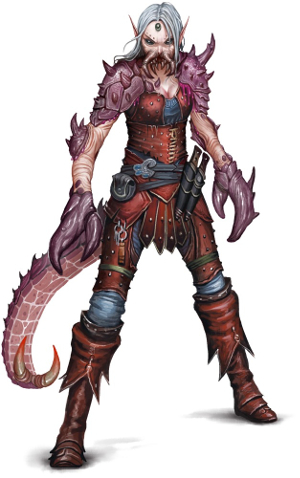 To learn more about Pathfinder RPG: Horror Adventures, visit the publisher’s website. The only group this book was tested with was the Gamer Geeks. This group actively role plays and would have a legit opinion regarding the book’s content. When presented the book’s material, the Gamer Geeks were very thoughtful as they perused its pages. Almost all the Gamer Geeks didn’t care for the Sanity rules, finding it to be too cumbersome. A few of the Gamer Geeks also thought the book was a bit too “evil focused”. According to one Gamer Geek, “Lots of good stuff in this book, but it appears to be designed for evil characters. That’ll make it difficult to use with my campaign group who are all good guys.” Another Gamer Geek said, “Overall, I’m liking the book. I don’t see myself using all of it, but there’s a lot that I can pick out and tease to fit my campaign.” When the Gamer Geeks were done looking through the book and discussing it, they all agreed that it was worth having. It provided a lot of great new ideas and would be a genuine asset to any GM. As for me, I rather liked the book. It has a lot of neat ideas and I found myself reading it from front to back due to the topics it covered. Like the Gamer Geeks, I agree that the book is not a one-stop-shop for everything a player will need. In fact, I found some of the content to be a bit too familiar – almost like it was covered before in other books. 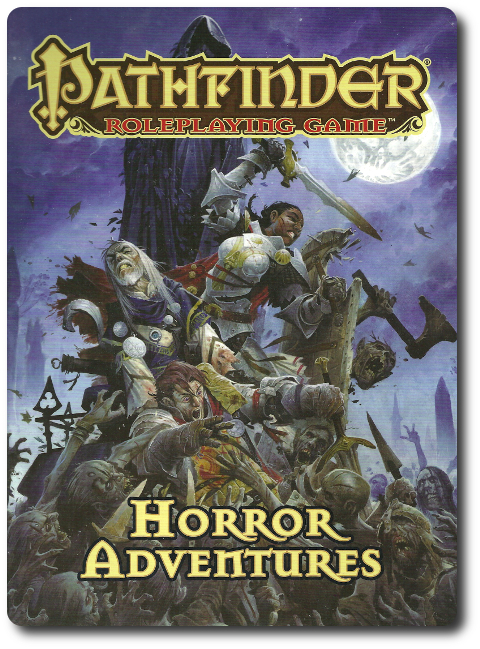 It might just be because of my level of familiarity with the Pathfinder content, but I never really felt like Pathfinder RPG: Horror Adventures was completely new. Many of the concepts and specifics covered in the book have been discussed in lesser detail elsewhere. If nothing else, the book provides a single source instead of a collection of scattered ideas across different source material. There’s a great deal of value in that. I do not think that Pathfinder RPG: Horror Adventures is a “must buy” for folks who love the Pathfinder RPG system. Instead, I liken it to a beverage choice. Some will want to drink deeply of the horrific and gruesome details covered in the book, while others might only want the occasional sip. Still, there will be others who avoid it altogether. Any of the three choices are fine as Pathfinder RPG: Horror Adventures is meant to serve a single purpose and that is to entertain. If you think fighting evil and most likely becoming evil sounds like a great way to spend your time, do take a look at Pathfinder RPG: Horror Adventures. This book was given to Father Geek as a review copy. Father Geek was not paid, bribed, wined, dined, or threatened in vain hopes of influencing this review. Such is the statuesque and legendary integrity of Father Geek. Tagged Game Expansions, Gamer Geek Approved, Literature, Role-Playing Games. Bookmark the permalink.